According to state-run media, the government in Burma will offer development bids in the Kyaukpyu Special Economic Zone (SEZ). Both international and national firms are invited to submit their own “comprehensive strategies”, the Bid evaluation and Awarding Committee (BEAC) chairman has stated. This comes from an official report in The New Light of Myanmar. 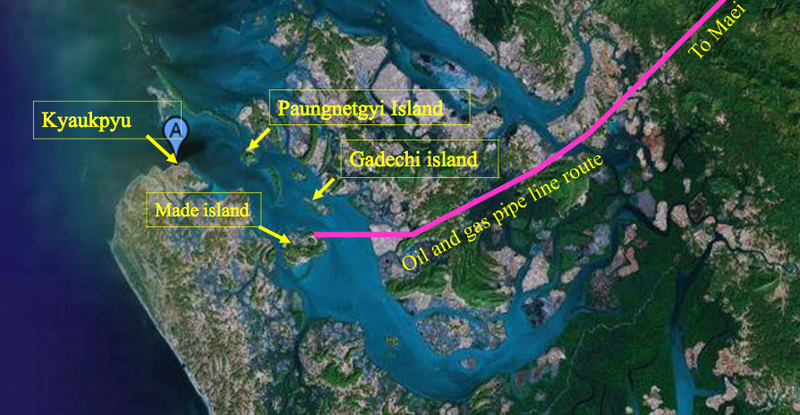 Kyaukpyu is strategically important as it is the start-point for China’s Shwe Gas pipeline and also the projected Yunnan-Arakan railway line. There are hopes that this will become the region’s logistic centre. BEAC is to receive bids by September 25 at the latest. Xinhua, the state news agency in China, officials state that the winning project should start by April 2014. The initial phase will cost around US$227 million, according to official sources quoted in AFP. Earlier this year, Buddhists and Muslims were fighting in Kyaukpyu. There are still tensions but there is now calm in the area.